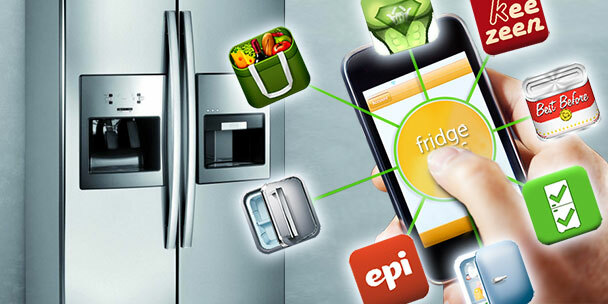 Your refrigerator is one of those household appliances you usually don’t have much trouble with. 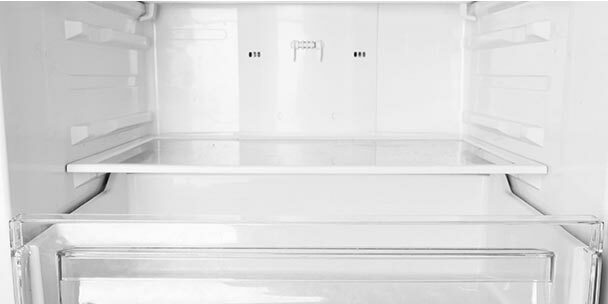 The lifespan of a quality fridge can last for many years, which is why it’s hard to tell when you need to call a repair technician and when you need to start looking into buying a new fridge. However, before your fridge completely gives out, it will usually give you a few indications that’s it’s wearing out. 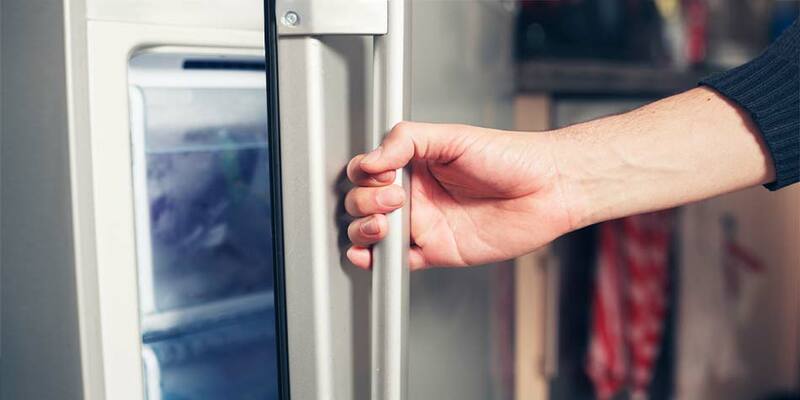 Let’s take a look at nine of the most obvious signs that you may need a new refrigerator in the near future. If your fridge looks as though it’s sweating in the middle of a heat wave, the problem might be that it’s not cooling properly. If you notice this, you should immediately analyze the rubber sealing around the door to see if there are any water droplets or signs of mildew or mold. Depending on how bad the sealing may be, you could potentially fix it on your own. You may also notice signs of condensation inside your fridge as well. If so, this typically means your temperature setting isn’t operating as it should. If the problem persists long enough, there’s a good chance the inaccurate temperature will start ruining your food. Feeling a warmer temperature change whenever you put your hand to the back of your refrigerator is not uncommon. However, feeling excessive amounts of heat is an obvious sign that something is not right within your fridge. The coils in the back of your fridge are insulated, which should keep you from feeling too much heat. If you notice this in your refrigerator, it would be wise to call a repair technician to inspect your coils. Depending on the situation and the problem at hand, replacing the coils could be an option for you to consider. However, if you have an old fridge, especially one that’s showing other signs it’s fading, it may be a better investment to buy a new fridge, then to continue repairing a less-efficient one on its last legs. Another indisputable sign that your fridge is about to breakdown, is when you notice your food start to smell and/or spoil days before it normally would. Or, if you put a six-pack of beer in the fridge, and notice that it’s taking longer than usual to get cold. 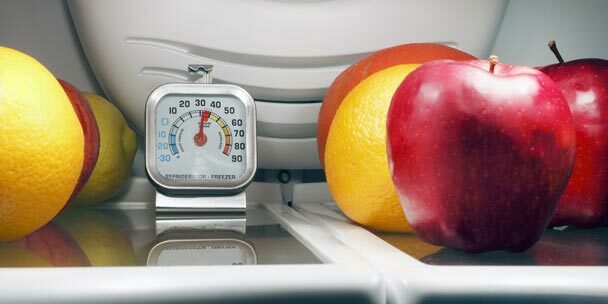 A fridge that takes longer to cool your food or is unable to maintain the temperatures it is supposed to, is using more energy than it should. A gross waste of energy, really. This not only means you’re spending more on your energy bills than you should, but you’re also wasting money on any food you have to throw out due to your faltering refrigerator. One of the most common signs you may notice, is that your freezer is starting to resemble an iceberg. While you obviously want a freezer to keep your food in its intended frozen state, it’s not normal for you to have to chisel ice off just so you can reach your bag of peas. If you find yourself in this situation, the first thing you should do is defrost the freezer. Once you have done this, plug it back in and monitor how it acts. If the problem continues to arise, then it may be time to consider getting a new refrigerator. Since many newer units have an automatic defrosting feature, this problem is becoming less common. But nonetheless, it’s a problem that needs to be taken care of as soon as you possible no matter how old or new your fridge is. Another possible solution to consider, is to buy an extra freezer to store your frozen necessities. Not only will this solve your continual iceberg problem, but it can save you lots of money in the long run. 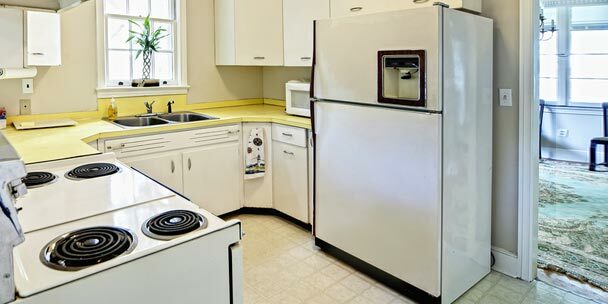 A refrigerator can last anywhere from 10 to 20 years. The older your unit is, the more it may cost to repair it. Eventually the cost of repairs will start to outweigh the cost of a replacement. If your fridge is over ten years old and in need of constant repairs, it’s not a bad idea for you to start saving up and shopping around for a new one. This is an obvious sign that its life expectancy is coming to an end and may give out at any time. You may think you’re needlessly spending money, but if you consider the cost-savings of buying a more energy-efficient fridge, as well as how much you won’t spend on repairs, you’ll quickly realize that this is a wise investment. The style of fridge you have can also play a big part in spotting signs that it’s time to replace it. If your side-by-side refrigerator is older than five years old and in need of constant repairs, it’s time to consider buying a new one. It’s best that bottom freezers be replaced after seven years and faulty top freezers be repaired if they are more than seven years old. If your energy bills have been looking a bit higher lately and you’re still using the same amount of power from month to month, inefficient appliances may be the root of your problem. New Energy Star fridges are more energy efficient than older fridges. Not only is a more energy efficient refrigerator better for your wallet, it’s better for the environment as well. 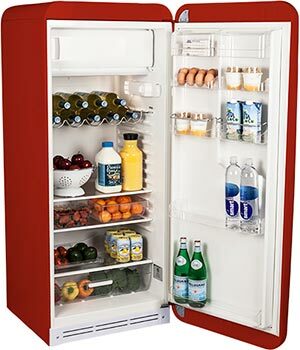 As you’re considering new fridges, pay attention to the specific type of fridge and the features in which they offer. 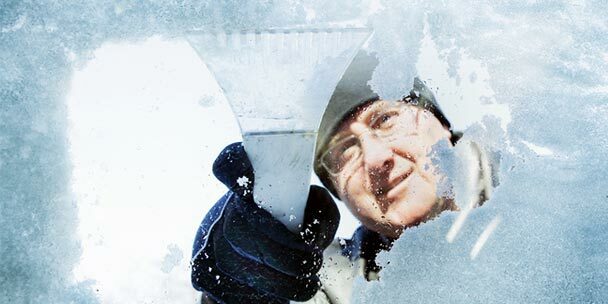 Manual defrost fridges don’t use as much energy as automatic defrost units if they’re maintained well. A fridge with a freezer on top usually uses less energy than a fridge with a freezer on the bottom. If your current fridge is older than ten years old and you’ve got the money to afford a new fridge you see available at a good price, you should at least consider buying it. Assuming, of course, that you’ve already done the proper research and compared similar models. This may seem as though you’re throwing away good money, but remember the older your fridge gets the more repairs can cost, the less energy-efficient they are to run and the more of an inconvenience it may become. Rather than wait for your fridge to inevitably break down at the most inopportune moment and leave you at the mercy of a salesman, take advantage of a good deal when you see one. There may not be any sales or specials going on when you finally do need to replace your fridge. If you like, you can sell your current fridge for a super cheap price to recoup some of the money you spent on your new unit. Just make sure you’re honest about how old the fridge is. At the very least you may be able to sell some of the parts that are still in working order. When all else fails, at least make an effort to recycle your old fridge. This is incredibly important to do, yet many people don’t even know that it’s possible to do so. Many old refrigerators, freezers and other kitchen appliances contain materials that should be disposed of properly and not just simply tossed aside in a landfill. 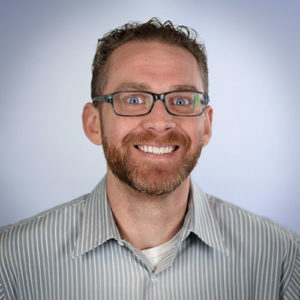 No, this isn’t a prank phone call from the 90’s, but if you can indeed hear your fridge running, then it’s time to call out a technician to see what the issue may be. 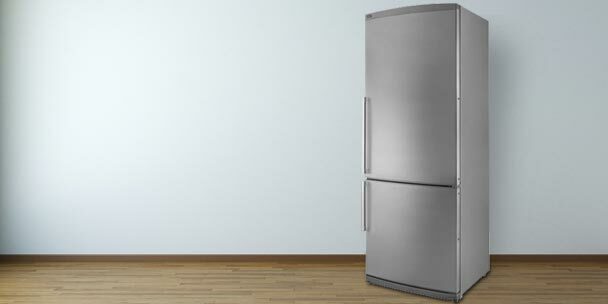 While fridges typically aren’t the quietest appliances, you shouldn’t really notice any noise while it’s running. An ongoing buzz or hum can be problematic if either noise persists long after you re-plug your refrigerator in or open the doors. If the excessive noise continues after a technician comes out, you only have two options. Buy a new one or try to catch it before it runs away. In the end if you’re unable to decide whether you should keep repairing your refrigerator for a few years longer or go ahead and buy a new one, consult a reputable and trustworthy technician. It would also be wise to check to see if your fridge is under warranty or has an extended service plan. While this is unlikely, especially for older units, it’s still worth checking into. Just remember, no matter if you have a mini-fridge or a larger fridge with a freezer, at some point, continuing to repair an aging fridge is going to cost you significantly more than just simply replacing it. My refrigerator is seemingly going bad and I was just wondering if I could something for it without buying a new one. My freezer is acting like the refrigerator section and the refrigerator section is warm. Is there anything I can possibly do to save the refrigerator? My side by side did this exact same thing. You have to replace your freezer heating defrost elements, after your defrost the cooling coils in the back of the freezer. Change out the thermocouple at the same time, as it senses when the motor needs to stop running. Also replace the timer at the bottom of the refrigerator. Doing all of these items was easy and cost less than $40 in parts for me. The frig is 30+ years old for me and still running great now. Thanks for sharing these tips. The same advice that you give for household refrigerators and freezers apply to commercial refrigerators as well. I agree with you that any fridge over 10 years old should seriously be considered to be replaced. This is because there has been so much technology introduced in the past 10 years that you are likely spending too much money on energy. 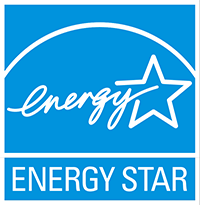 Look for refrigerators with the energy star label so that you know they are efficient and will do the job right. There is water leakage onto the floor on the freezer side of a side by side refrigerator. It is a cyclical pattern. What could be the explanation? The unit is about twenty years old. I am concerned about how long I would have before the food in the freezer would go bad while I shop for a new refrigerator. if your fridge has a water supply line running through it, the nut may have loosened up over time. this is typically found behind the unit and is easily fixable. if you are unable to tighten the but, then turning off the valve would be a priority. anything else i would have a technician look at. I thought it was interesting that a sign your fridge is on it’s way out, is the freezer is becoming really icy. I thought that would be a completely normal thing. I can see how your fridge not being as energy efficient would be a sign. It would be kind of hard to determine that the fridge is causing the the raise in bills. I guess you just have to really pay attention! I didn’t know that a fridge can last anywhere from 10-20 years! Thats amazing how long they can last. I have been having some minor problems with my fridge and I have noticed my energy bill has been higher than normal. I will definitely get it checked out for any repairs before I ditch it and get a new one. Thanks for the information! What does it mean when I can see a red glow inside the back of my freezer. I keep hearing like drops of water are hitting something hot also my freezer button might’ve frozen or melted of I’ve only had my refrigerator for 5 years. I just moved and don’t know how old the fridge is. I have noticed that the food in the freezer is super frozen even though there is no ice. I can’t even cool water in the fridge. It’s on the maximum setting. Does it sound like a replacement may be necessary? These are really great tips. Some of these tips are common problems that are neglected and eventually turn into more costly fixes. Great job. I think I’m to the point that you mentioned, where the repairs necessary will be just as expensive as a new fridge. That’s what I get for having a very old unit. It would be a good idea for me to buy a new fridge I think. My refrigerator is 25 years old. Never had any problems. I can hear it running sometimes, loudly. I am getting a new one tomorrow but am having second thoughts. I have never replaced an appliance that was still working. Having separation anxiety. New fridge will have an ice maker which I don’t really want. Try not to buy a refrigerator with an ice maker. My ice maker stop working within 5 years. I had a appliance technician to look at it, the cost to repair it was ridiculous! I have been buying ice and putting it in the ice try for nearly five years. Recently, I have started seeing drips and water leakage. I suggest ice trays. It may be old fashion, however, it works. I like that you point out that if your food is spoiling quickly then something might be wrong with your fridge. I can see why this would be an easy indicator that it might need to be repaired. My sister just moved into a house and bought a fridge. I’ll have to remind her to be aware of the signs that it needs to be repaired. My food is rapidly spoiling! It’s starting to get very frustrating. I think my issue has something to do with the compressor. I should call someone to get it replaced. I’m glad that we can just get parts fixed or our fridges repaired instead of having to buy a new refrigerator every time something goes wrong! We need to purchase a new refrigerator but since we have no way to connect it to a water supply, we have no need for ice maker and dispenser. I would like a bottom freezer model perhaps with French doors. Is such a waterless model made? into food that’s stored in containers or Ziploc bags. PLS help, I have a 7 yr old daughter plus myself. Came home after 5 days away to chunky milk and food that had defrosted and started to change colors…gross. Computer controls are in the door. I reset everything. Refuses to behave. Is it worth the expense to have it repaired or buy a new non-computerized one? We definitely need a new fridge, especially after reading this. Ours is reaching 16 years old soon, and we can tell it’s just getting old. We’ll be sure to start looking and saving up for a new one, like you mentioned. What do you think that is? It is a 2005 Kenmore. My fridge freezer suddenly started defrosting for no reason. No doors open . It is only about 3 years old at most. Any idea what could be causing it to defrost please. What’s not in the article is that buying a new fridge comes with its own pricey problems which will cancel any energy savings. The new ones are made to fail and will most likely require a repair person servicing it very often. This has made me rethink replacing my running 25 year old whirlpool fridge. I don’t want to spend good money on something that may last 5-7 years (with repairs in between). Products need to be made better! Not made to fail! my yellow one, from the 70’s is still working fine, my question is should i replace it, just because its old and will breakdown one day, its definitely made stronger the drawers arnt this cheap plastic. I have 9 year old Kitchen Aid Refrigerator and having a problem recently. Freezer is not cold enough and caused ice cream melted. In order to keep it cooler, turn-on Max cooler and be able to manually set temperature to 6 degree instead of 0. Any suggestion in this matter will be greatly appreciated. I have an 18 year old Amana side by side. Looking at new refrigerators and trying to decide which type, side by side or French door style. Also torn about replacing it when it still works fine. Never had to service it. Clean coils occasionally and that’s it. Looking at new ones and realize what I have has many great features. Having trouble finding one I like for my price range, under 2k. One things for sure, they don’t build them like they use to, and this model is from 2000. At that time that’s what sales person said about appliances at that time. Other thing that has me concerned with new ones is the control panel that runs them. Seems like manufacturers came up with another twist to have a part to fail and what I’m hearing this, control panel is a killer. Any suggestions or comments would be appreciated. My fridge is about 7 years old. I can hear the buzzing sound constantly and its quite loud. It stops when the deep freeze is open then begins the loud sound again after we close the deep freeze door.